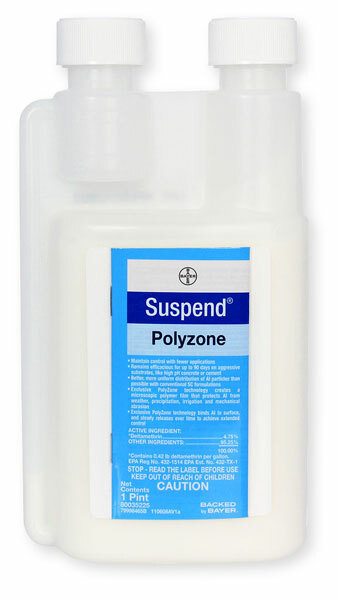 Suspend Polyzone is an insecticide concentrate and mixes with water. It is sprayed along baseboards, corners and cracks of rooms, closets, etc. It can also be applied in the attic as a "light" surface spray above the insulation.